Police say a young biker died in a wild chase provoked by a case of road rage, and a motorist faces two counts of attempted murder as a result of the incident. 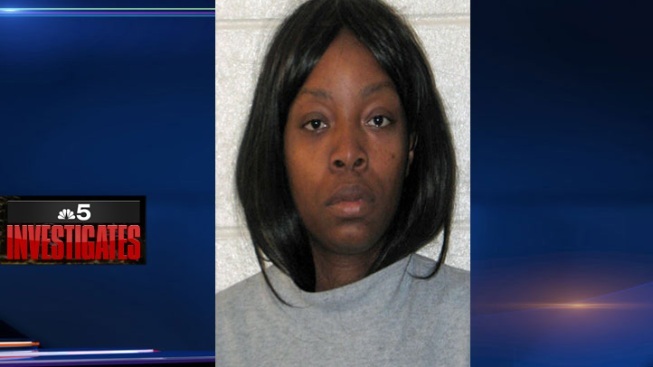 Authorities say 27-year-old Chiquita Stevenson was driving home from work near the intersection of Archer Avenue and Lagrange Road in Burr Ridgee when she encountered the DC Eagles motorcycle club. The bikers were visiting southwest suburban cemeteries on what's called a "Rest in Peace" ride. Stevenson is accused of swerving her car into the middle of the pack, coming close to striking one of the bikers, and after an angry exchange, throwing objects at them from inside her car. Investigators say the altercation escalated, and Stevenson began chasing two of the motorcyclists up Archer Avenue. At that point, one of the bikers, 23-year-old Joshua Deford, also gave chase, creating a wild procession weaving in and out of traffic and at times in the wrong lanes at speeds reaching 80 mph, according to police. At some point during the chase, Deford lost control of his bike, skidding and crashing as the procession continued into suburban Bedford Park. He died from his injuries on Tuesday. Police say the bikers attempted to drive into the parking lot of the Bedford Park police station, and that's where Stevenson alledgedly struck one of them with her vehicle, causing him to crash. But Stevenson's boyfriend, Nicholas Williams, tells NBC 5 a radically different version of the story. Williams says the Stevenson was on her way home from work when she encountered the bikers, one of whom he says attempted to smash her windshield. He says Stevenson pursued one of the cyclists to get his license number, but others surrounded her car. At one point he says she called 911 because she feared for her safety, and insists she was not the aggressor. "She's 120 pounds," Williams said. "Who in their right mind would do that?" Stevenson pleaded guilty to misdemeanor battery in 2012 and was sentenced to 18 months of supervision.